Stop by the shop any given day and you’re likely to find our owner Dave (above, left) in a Mammut Eiger jacket. We can’t get him out of the things! He makes up all sorts of excuses to don one: company photo shoot (gotta look sharp), testing it for blog review, testing it for customer questions. 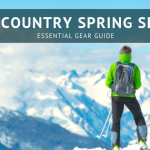 And for someone who’s seen each season’s “it” jackets come and go, who’s worn everything from Gore-tex to H2no, Dave isn’t just excited because the Mammut Eiger line looks hot, he’s into it because it feels and functions great. Mammut Eiger is the brand’s upper echelon collection: full on Swiss-influenced style, with more attention to detail than ever. The line replaces Mammut Extreme, which they took back to the drawing board for a complete redesign. In 2012 Mammut celebrates its 150th anniversary, and Eiger is ringing it in in a big way. On the shelf, you’ll recognize Mammut Eiger by its neon accents. Bright orange, neon pink, electric blue and black distinguish the line and make it pop. 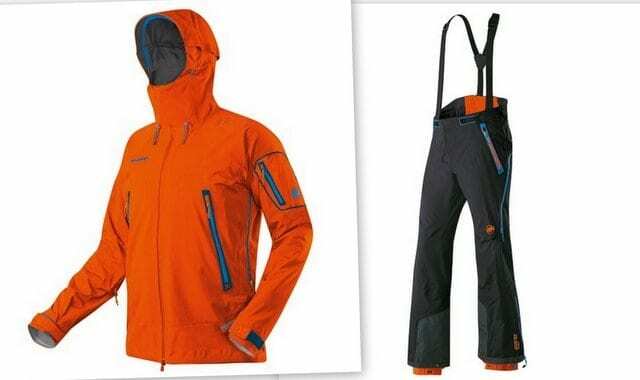 The flagship Eiger style is the Mammut Nordwand Pro Jacket and Nordwand Pro pants (above), an extremely tough three-layer Gore-Tex pro shell jacket and pants for the very best waterproof and breathable performance. 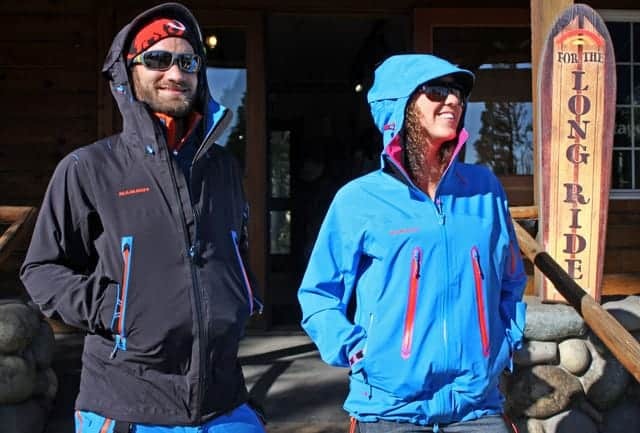 Among its many standout features, the Nordwand jacket boasts a reinforced visor to withstand the strongest of wind, front-reach sleeves designed specifically to support climbing arm movements, adjustable cuffs to prevent water from running into the sleeve that can adjust with just one hand, and more accessible lower arm vents. Just touching the fabric you can tell right away that this is one high-class jacket—ultra comfortable to the touch yet burly and technical, definitely tough enough for any mountaineer. 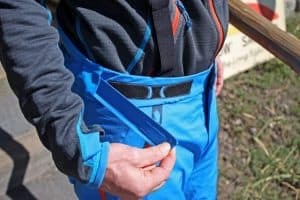 On the Mammut Nordwand pants, the continuous drop-seat zip makes long days in the backcountry more toilet-friendly, and if left half open, can also be used for ventilation. 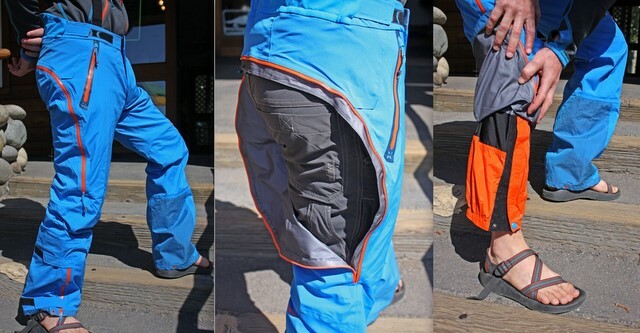 On the lower legs, the snow skirt can be individually adapted to ski or alpine boots, and the back waist is lifted for more protection. 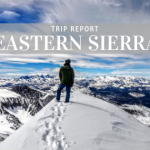 It’s incredible all the features on each and every Eiger piece, and TMS buyers hand-selected their favorites from the line so that our shop has a bit of something Eiger for everyone. Check out the women’s Mammut Mittellegi Jacket (above, right), comparable to the Nordwand, the Mammut Eiswand Jacket (above, left), a super technical zip hard-face fleece that can work as a layer or a jacket, and the Mammut Trion Nordwand 35 Pack (above, center), a beauty of a pack with bottom access, a waterproof roll top, and all the attention to detail Eiger is becoming famous for. The Ultimate Nordpfeiler Jacket with GORE Windstopper stretch fabric and high abrasion resistance for high alpine activities. The Mammut Eigerjoch Jacket, a hybrid down and fiberfill jacket for alpine and Arctic activities. 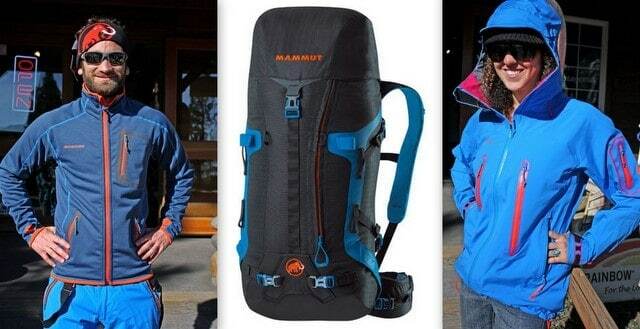 Have you tried Mammut Eiger yet? 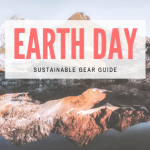 Do you have a Mammut Eiger review for us? Drop us a comment here, or on the product pages on our main site. Previous PostMountain Hardwear's Cash for Clunkers Next PostWe're a 'Calling All Poles' drop-off point, donate your old tent poles today!